Sitting across the street from Louisiana’s State Capitol, the Louisiana State Museum presents a perfect mélange of contemporary design and historical storytelling. The entrance hall strikes you as grand and modern; the exhibits themselves are reminiscent of something you’d see in the Smithsonian. And forget about boring placards and diagrams, these exhibits are sleek, interactive and innovative. The museum includes two permanent exhibitions. Downstairs you’ll find “Grounds for Greatness: Louisiana and the Nation,” a historical exhibit that puts Louisiana in the context of the nation’s history. 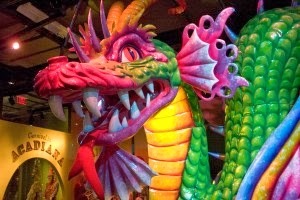 Upstairs is the cultural exhibit, “Experiencing Louisiana: Discovering the Soul of America.” This are explores everything from music to Mardi Gras to Cajun folklore. The cultural exhibit seeks to create a bond with Mardi Grad float visitors and locals alike by truly immersing you in Louisiana culture. After spending at least 10 minutes listening to the “front porch stories” of a bayou fisherman, I realized I was lost in the exhibit – figuratively and literally. I had wandered deep into Cajun country and had no idea where the exit was. After a hop onto a Mardi Gras float and a stop at a LSU tailgate, I realized I still had not visited the Louisiana Dance Hall – a feature on the milliard music styles that have taken root in the state, from jazz and blues to rockabilly pop, country and bluegrass. For a practical perspective, visitors can also get up close and personal with some of Louisiana’s most prominent industries. A sugarcane harvester, massive shrimp boat and scale oil rig model highlight the importance of natural resources to the Louisiana economy. The Louisiana State Museum is truly a remarkable experience. Built in 2006, it is the newest addition to the Louisiana State Museum system, with other museums in New Orleans, Patterson and a historical site in Thibodaux. 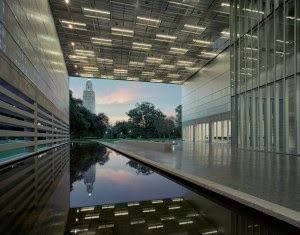 Admission to the LSM in Baton Rouge is free. Galleries are open 10 a.m. to 5 p.m. Tuesday through Friday, 9 a.m. to 5 p.m. on Saturdays and 1 p.m. to 5 p.m. on Sundays. Enhanced curriculum guides are available for 3rd and 8th grade tours.